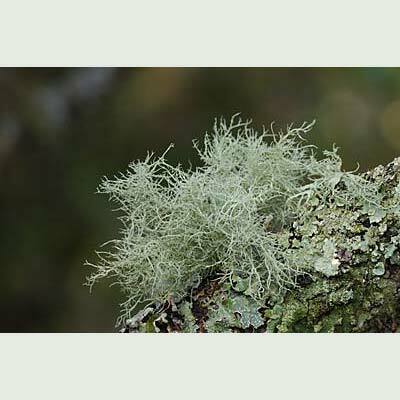 Well distributed throughout Ireland, this beard lichen is shiny grey to pale olive green (sometimes bluish) in colour and unlike U. subfloridana, is not blackened at the base where it attaches to the bark. The main stems appear turgid and swollen, yet are markedly constricted at the point of attachment to the side branches. 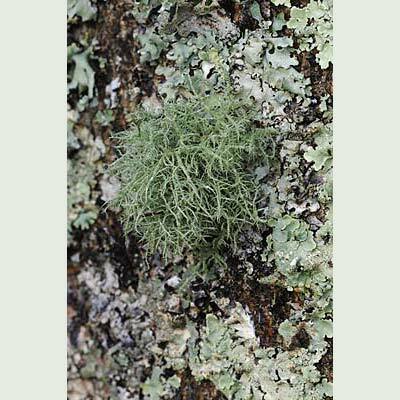 The small branches are covered in minute white spots which can develop into isidia or soredia. It should be searched for in boggy areas on tree trunks and branches or in woodland by rivers and streams. Side branches markedly ‘pinched’ where they join the main stems. Simms, M. J., (2016). 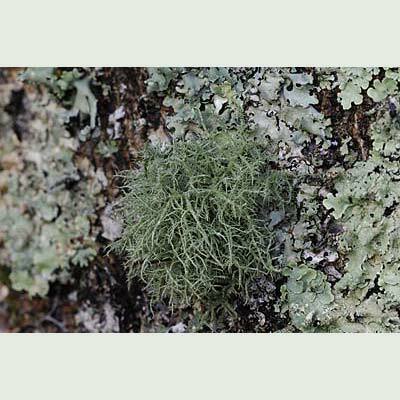 Usnea cornuta Körb.. [In] LichenIreland.